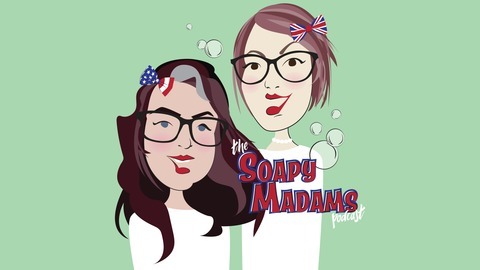 The Soapy Madams Podcast compares and contrast the British and American soap opera experience, and “soap tropes” in general. Everything is terrible on the soaps this week. Pod Person Ben has rebooted Phil’s business with an injection of human trafficking money on EastEnders, while on Emmerdale, Malevolent Maya has been caught, but it looks like she may take Liv down with her in a blaze of shame. No one can find coo-coo Carla on Corrie, and on General Hospital, Dawn of Day is digging in their dastardly heels, with Shiloh and Jason playing a deadly game of chicken with Kristina as the prize. 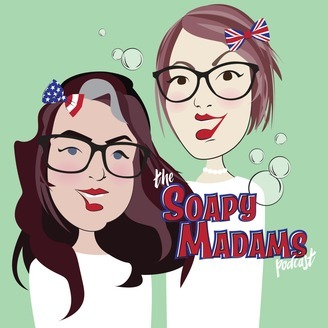 Everything is terrible but we love to talk about it this week on The Soapy Madams Podcast. Listen up and join in the fun!